Taking dead aim at the Ferrari 488 GTB, McLaren’s new 675LT is the leaner, meaner and more extreme version of the 650S, with 666bhp to boot. As one of the stars of March’s Geneva motor show, the 675LT will cost from around £260,000 – a £65,000 increase over the 650S – and will start being delivered to customers in the summer. McLaren seems to have been hit with the nostalgia bug with their two feature cars in Switzerland, first with the P1 GTR taking major influence from the Harrods-liveried F1 GTR’s paintwork and now the 675LT, with those last two characters standing for Longtail, as in 1997’s F1 Longtail. The 675LT will sit above the 650S coupe and Spider models in McLaren’s new ‘Super Series’ model line-up; the P1 enters into the ‘Ultimate’ range, while smaller ‘Sports’ models will be getting revealed at April’s New York motor show. 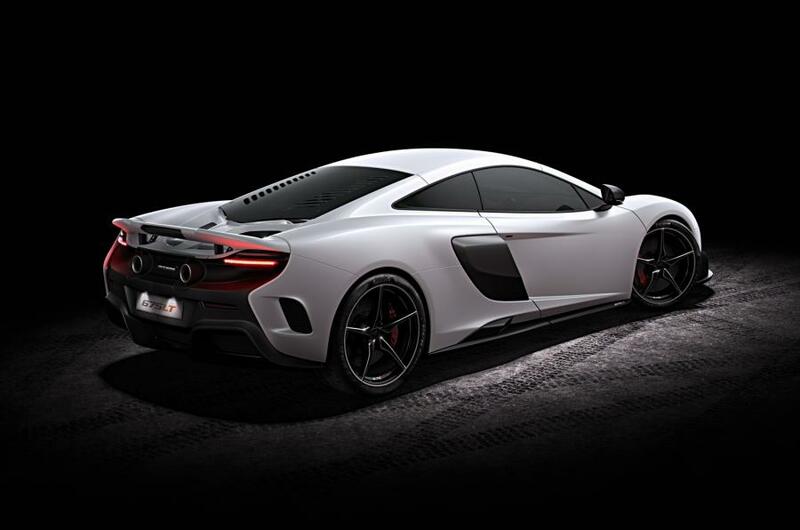 While sporting many aesthetic similarities to the 650S, the 675LT has been reprofiled in its bodywork to give it many new aerodynamic features and a much more aggressive nature. 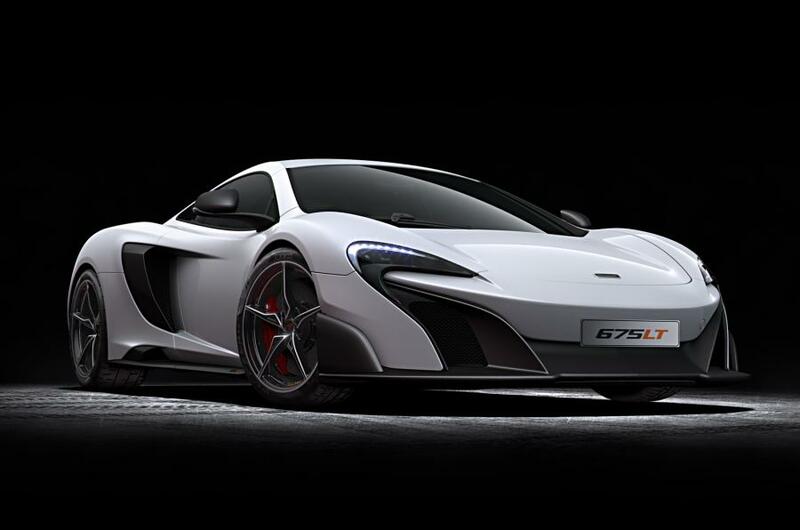 The Longtail Airbrake itself is 50 per cent larger than the 650S’s equivalent, for example. Meanwhile, a new bumper is joined by carbonfibre wings, titanium exhausts and rear diffuser at the back. Up front, the 675LT features a larger carbonfibre splitter and upgraded bumper design that improves cooling and downforce. Taking the conventional mid-engined layout, the 675LT features a heavily modified version of the 650S’s twin-turbo V8, with the 3.8-litre unit now producing a rather devilish 666bhp. According to the Woking-based firm, the engine is 50 per cent new compared to the 650S’s, as new turbos, camshafts and connecting rods, a faster-flowing fuel pump and delivery system, among other features, make their way into the dynamics of the powertrain. The power hike is a 25bhp rise over the 650S and the engine also gives an increased torque level of 516lb ft in the 675LT. All 666 horses will go through a seven-speed dual-clutch transmission. To be as lightweight as possible, an extensive use of carbonfibre graces the 675LT’s bodywork, aerodynamic features, engine parts and chassis to give a dry weight of 1230kg – 100kg less than the 650S. As a result, the new McLaren has a power-to-weight ratio of 541bhp per tonne. A 0-62mph sprint time of 2.9sec is the resulting agility handed to the 675LT, while a top speed of 2mph less than the 650S – 205mph – is due to extra drag through the aerodynamic set-up. Inside the 676LT, is a driver-focused cabin layout and P1-inspired lightweight carbonfibre bucket seats wrapped in Alcantara. Sticking with the nostalgia trip, McLaren will offer the 675LT in five ‘By McLaren’ specifications that have been inspired by colours and liveries synonymous with the manufacturer’s history. We’ll have plenty more on the McLaren 675LT from the floor of the Geneva motor show next week.